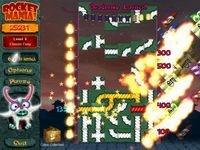 Rocket Mania Game. 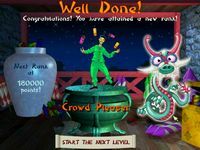 Download Rocket Mania game. Rocket-Mania download. 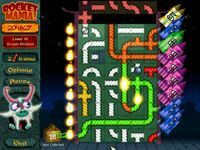 Rocket Mania Deluxe is a new pyrotechnic puzzle game! Twist and turn the fuses to link a burning match to one or more rockets, then watch the sparks fly! Upgrade your rockets for bigger bangs by collecting coins along the way. But watch out - set off your fireworks by dawn or the show is over! How many can you launch at one time? High scores for all modes!